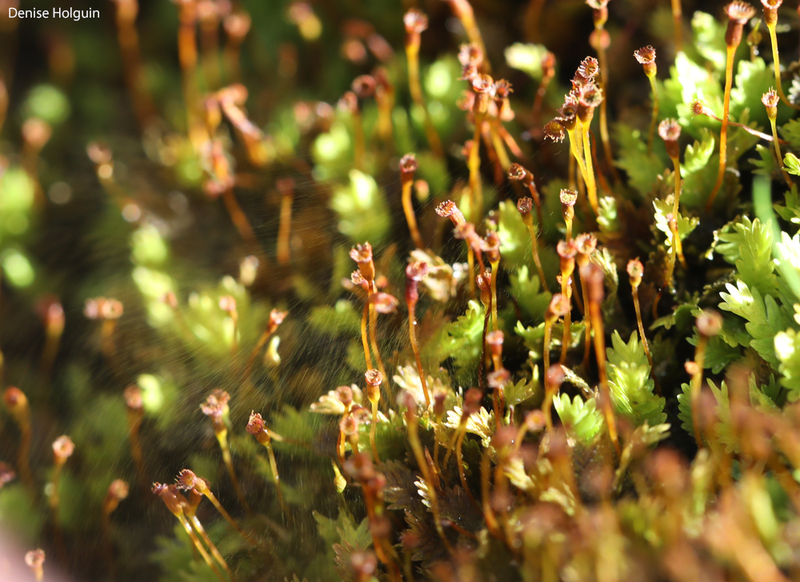 My friend Tore and I found a new area of the LBJ Grasslands that has the most moss I’ve ever seen in Texas. 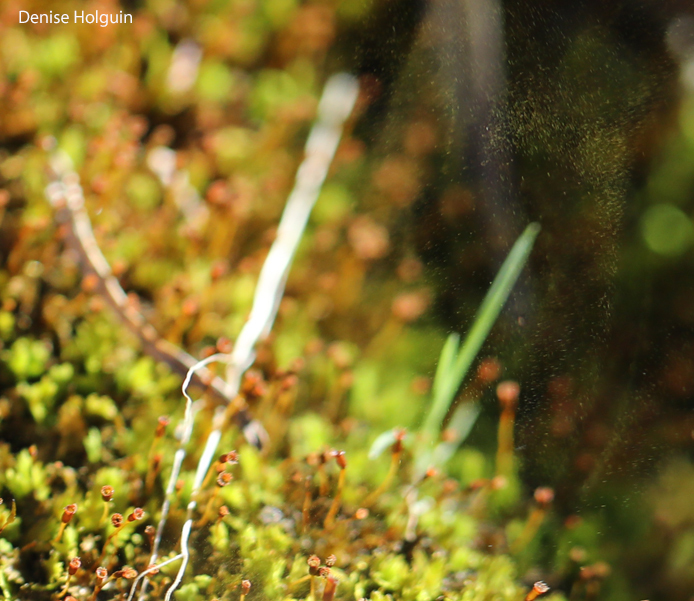 (The entire state of Arkansas on the other hand, seems to be covered in moss!). 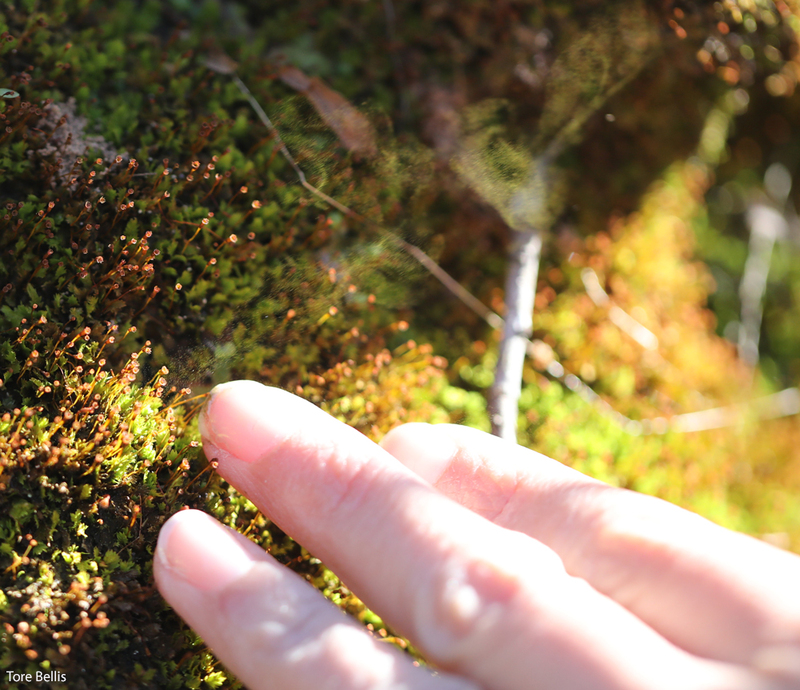 I couldn’t resist touching the moss – and when I did, I noticed dust – or rather, moss spores! Tore had his telephoto lens attached to his camera, so I handed him my camera with the macro lens. He took some good photos. I had to try taking photos too. Mine are below. It’s times like this I wish I carried my tripod. A one handed shot is not easy. 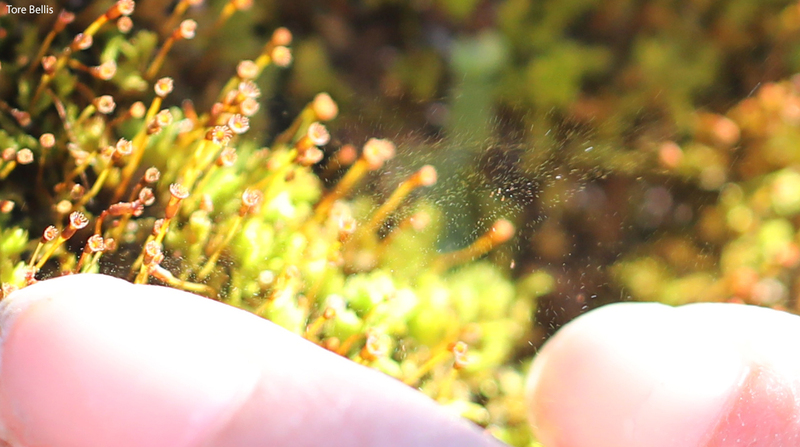 Notes: I didn’t have any confidence that we could photograph the spores but it was worth trying.